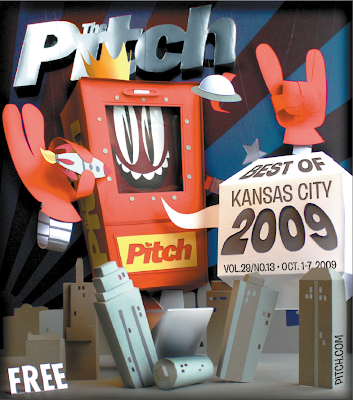 Pitch Cover and a free papertoy for you! Gubi-gubi November Series Sneak Peek, Template is up for free download! Yes!! What you read is right! Another Cubee showing in Brooklyn. Though Too Art for TV goes well into October those who can't make it to Williamsburg might visit the Dumbo area and check out what's going on at Zakka (design store/gallery space). The noddertoys by 3Eyedbear are released for free downloading. Go get them here tigers. I speak of both myself and my creations. I'm sure everyone started off a little rough, I'm no exception. Templates will be available as soon as I sort out my website but if anyone wants them in the meantime - I'm happy to email them, just drop me a note. I'm really interested to hear what people think. There is a new TMNT movie headed to theaters for one night only - and the Cubeecraft TMNT have a cameo! Banjo Bird now sing his song, even if you won't understand. btw the sombrero template, are designed by Zakane, yup, the nice guy whose face on the newspaper. Im working on 2 new papertoys, clink and klank (steampunk robots) whick will be my first on sale papertoy and the set will come with 2 badges (just wanted to let you know). I'm in the papers !! A few months ago, I was contacted by a local newspaper reporter from ZBComma who wanted to interview me regarding my papertoys. The article is finally published !!! Next stop for the Urban Paper show my hometown Kansas City MO. If any of you live out my way be sure to stop by. Next stop Rivet gallery in Columbus Ohio this January. Gubi - gubi third trip is up for free download!! gubi-Gubi new version Blank Template! for download Anytime soon! Paper is wood, wood is paper? I wanted to try my hand at something new this summer, so I tried making toys out of wood. The first is titled "Douglas" and he is a friendly sort of guy. The other is titled "I think it is something he ate" and he looks a little bit ill, a little bit mean, and a whole lotta stuffed. Lumberjacks taste funny. I hope to make more in the future. Too Art for TV opened last Friday night and was super packed. I saw a lot of people I haven't seen in awhile and me a lot of new people. 9 Cubees on display: Each about 7.5″ tall. From top left: "TK-421", "The Chosen Form of the Destructor", poprock boy by Harlancore, Cubee by Marshall Alexander, Garry by Tougui, Venus Di Milo by Glen Brogan, Produkt 01, Dead-Sea Diver, and Produkt 02.